According to Buddhist folklore, when Siddhartha sat in meditation on his path to enlightenment, he kept falling asleep. Infuriated at his lack of self-discipline, he plucked out his eyelashes and flung them to the ground. At the spot where his eyelashes fell, there arose a plant blessed with the magical properties of banishing sleep. The plant was Camellia sinensis or Chinese Camellia, more popular as tea. The Chinese connection is attributed to a story that recounts how few leaves from a Camellia bush fell into a pot of boiling water by mistake and the brew was served to a Chinese Emperor who hailed its rejuvenative powers. It is suggested that the Tang Dynasty made tea the national drink of China and coined the world ch’a for tea. While these legends may be apocryphal, documented evidence establishes that tea was being consumed in India as early as 750 BC. Not surprisingly, the country today is the highest consumer of tea. Yet the evolution of tea as a drink of Emperors and colonial rulers into a daily beverage of a man on the street began with an epic story of deception and industrial espionage. During the 1800s, Europe, particularly England became obsessed by the magical brew of the Orient. China held sway over the world trade and production of tea remained a fiercely guarded secret for centuries. In a shocking clandestine corporate heist, the British East India Company sent a faithful Scottish botanist and plant hunter into the heart of Imperial China to steal the secret of tea. Robert Fortune, the chosen hero for this near impossible mission, went to China disguised as a mandarin armed with a ponytail and a crummy pistol and explored the region for four years (1848-1851). How the humble botanist risked his life fighting off Chinese warlords and pirates to return to India with a clutch of precious saplings, seeds and meticulous documentation on how tea was traditionally prepared, is the stuff of legends; inspiring books like “For all the tea in China” by Sarah Rose and even a movie “Robert Fortune: The Tea Thief” by Belgian filmmaker Diane Perelsztejn. Until then, Britain filled its coffers with silver earned from Chinese tea in exchange for opium grown in India. However, after the two Opium Wars (1839-42, 1856-58), China broke Britain’s stranglehold over opium trade by becoming the world’s biggest producer of poppy! By smuggling saplings of the most prized black and green tea into India and spawning nurseries in Assam and Darjeeling, Fortune literally changed the fortunes of the British Empire forever and made the world wake up to tea. 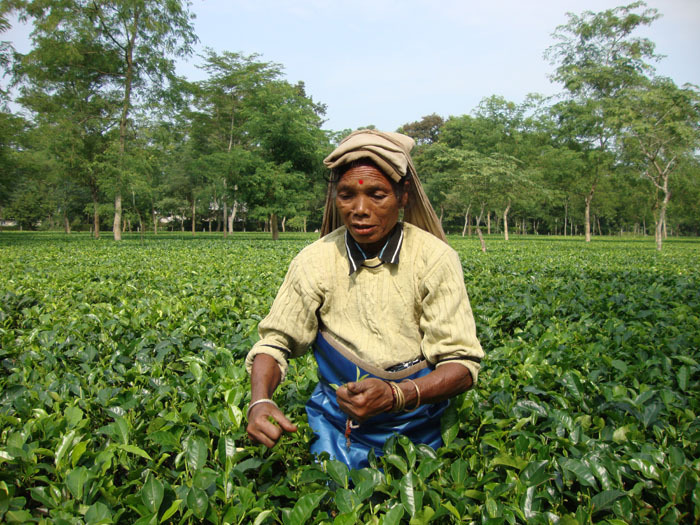 Interestingly, indigenous wild tea bushes were found growing in Assam even prior to 1823. It is said Bessa Gaum, a Singhpo tribe chieftain served a unique dark beverage to Robert Bruce, a Scottish officer in the British army! It was his brother, Charles Alexander Bruce who propagated and popularized Assam tea by establishing the Assam Company, the world’s first tea enterprise. 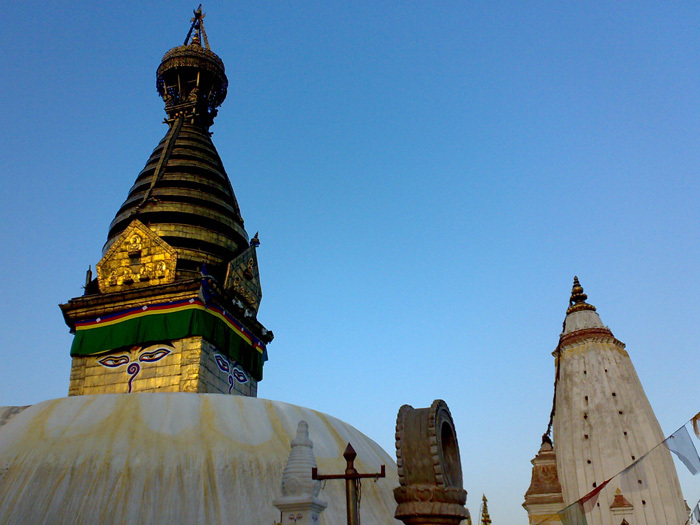 Prince Dwarkanath, Rabindranath Tagore’s grandfather was on its elite list of Board of Directors in 1839. In 1841, Dr. A Campbell became the pioneer of tea plantations in Darjeeling, when he launched a trial seed planting experiment using Chinese tea seeds at an altitude of 700ft. Several Europeans besides Bhagatbir Rai, a local resident, followed his path and numerous tea estates took root across the hilly slopes of Darjeeling. By 1866 nearly 39 estates spread across 405 hectares were producing tea, making Darjeeling synonymous with the now world famous export. Soon, engineer W O’Brien Ansell introduced the first power-driven tea rollers and sorters and installed turbines, revolutionizing the whole process of tea manufacture in factories through mechanization by 1872. Tea connoisseurs across the globe attribute the combination of unique soil, altitude, temperature and weather to the delicious ‘muscatel’ aroma of Darjeeling tea, earning its tag as the champagne of teas. After the unfortunate hanging of local Maniram who defied European entrepreneurs by planting his own tea in 1858, Rosheswar Barua became the first Indian to establish and own six tea estates. The popularity of the golden brew gained momentum and profit, luring enterprising traders from faraway lands to stake their claim in the business. Soon Marwaris like Senai Ram Lohia set out on camel and foot from Ratangarh in Rajasthan to Dibrugarh in Assam in 1861 on learning about the “gold growing there”. A year later, motivated planters like James White set up a tea plantation in the Terai region sparking off similar estates in the Dooars. As numbers swelled to 13 plantations, the British set up Dooars Tea Planter’s Association in 1877 followed by the Indian Tea Association in 1881 to represent North Indian planters. This was no proverbial storm in a teacup; it was a stirring of a business frenzy that has lasted for more than a century – across the north, east and south of India from Assam to the foothills of the Himalayas in Kumaon and Kangra, Kullu and Garhwal to the slopes of Nilgiris, Munnar and Anamalai in Tamil Nadu and Kerala. The southern wave of tea was triggered around 1832 by Dr Christie’s early trials with tea cultivation in the Nilgiri region. Mann the first planter to manufacture Nilgiri teas, founded a tea plantation near Coonoor in 1854 that became renowned as Coonoor Tea Estate. Around this time, another planter, Rae, set up Dunsandle Estate near Kulhatty. In 1878, James Finlay & Co. pioneered tea cultivation in hilly tracts of Kerala. Munnar is home to some of the world’s highest tea plantations and the tea owes its uniqueness to the distinct geographical conditions and altitude. By 1893, the United Planters’ Association of Southern India was established to represent those in the south. From the meditative art of Japanese tea ceremonies to the idea of culinary elegance and etiquette for Afternoon tea, High Tea and garden tea parties introduced by Anna Maria Russell, the Duchess of Bedford, to the simple everyday way of life phenomenon of chai in India, the art of tea drinking has transformed over the decades from region to region. Lu Yu simplified the whole process of manufacturing tea bricks, which were steamed and dried for storage as: “All there is to making tea is to pick it, steam it, pound it, shape it, dry it, tie it, and seal It.”. In the ancient days, tea bricks were so valuable that they served as currency in parts of China, Tibet, Mongolia and Central Asia. They were often compressed with fascinating designs and imprints and were also consumed as food during hunger and as a cure for cough and cold. Today the practice of using tea bricks is uncommon but the sheer range of tea available in the market leaves one speechless. It’s hard to believe that the 3000 different varieties of teas available in the world come from the humble Camellia sinensis or Camellia assamica plants, varying only by the region it was grown, the season it was picked and the processing method of leaves. 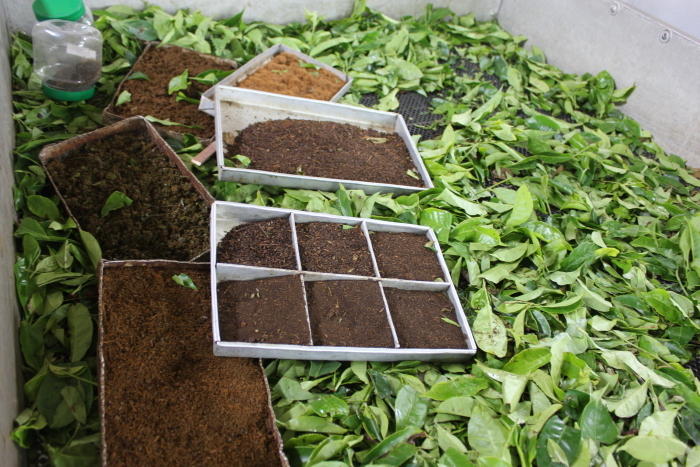 However, tea can be broadly categorized into four types namely, Black, Green, White and Oolong tea. 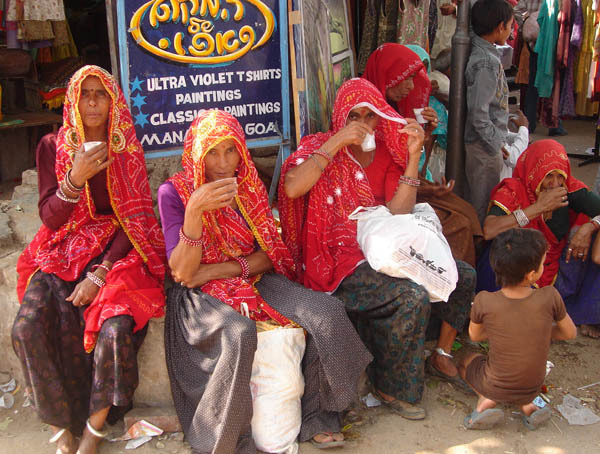 India is the world’s largest producer and consumer of tea. Together with China, we contribute 2,338,000 tonnes to the world’s total tea production! In 16th Century India, tea was used to prepare a vegetable dish using garlic and oil and a drink was made using the boiled tea leaves. There’s a quirky lore about an Indian brand called Rungli Rungliot. On his quest for the perfect tea, a Buddhist lama wandered across mountains, valleys and passes of the North East. Deadbeat after his long journey, he stopped at a point between Gangtok and Darjeeling, where the road twists high above the Teesta river. He uttered the words ‘Rungli Rungliot’ meaning ‘Thus far, and no further’. As luck would have it, he discovered the perfect tea right there, giving the place and brand the name! Today, Indians have given their own spin to the art of making tea. While a majority of tea drinkers prefer to sip tea with milk or cream and sugar, many Indians add spices like cardamom, cinnamon, cloves, pepper, herbs like basil, mint, liquorice and ginger for additional flavor. So we have milk tea or masala tea and the strongly brewed kadak chai served in hilly tracts of northern India; the malai mar ke chai, a full-bodied brew with a fat dollop of cream scooped into the cup; the eco-friendly railway matka chai served in red clay cups; Kerala tea laced with peppercorns and nutmeg; the stiff sugar rush of Irani chai or “khade chammach ki chai (literally, standing spoon tea) which refers to a light brew with a layer of sugar at the bottom that is so thick it could keep a spoon upright! For those who like a large dose of lactose, the milky concoctions of dust tea served around the old Fort St George in Chennai and the cow belt of Uttar Pradesh and Bihar are a must. For a dash of exotic, try the mild flavors of Kashmiri Kahwa, an aromatic green tea that is boiled with saffron, cinnamon, cardamom, crushed Kashmiri roses and sweetened with honey and crumbled walnuts and almonds. The strange salty pink Sheer Chai or Noon Chai is another offering from Kashmir besides the famous Gud-gud Chai – a buttery salty local tea served in nearby Leh and Ladakh. Mumbai’s “Cutting chai” or Bangalore’s “By-two” chai are economical urban alternatives where one cup of tea is halved or shared between two people. Kerala’s Meter chai is a skillful display of mixing tea contents and providing a head of froth by deftly pouring hot tea between two containers drawn about one meter apart! The Arab-influenced Sulaimani Chai or lemon black tea, is a delightful refreshment served commonly at biryani parlors and cafes. When it comes to great highland teas, the aromatic Darjeeling tea still wears the crown with its original orthodox manufacturing process which involves five stages after picking the sacrosanct formula of “two leaves and a bud” – withering, rolling, fermentation, drying and storing. The dark Nilgiri Tea with its intense aroma and rich flavor rules the south. 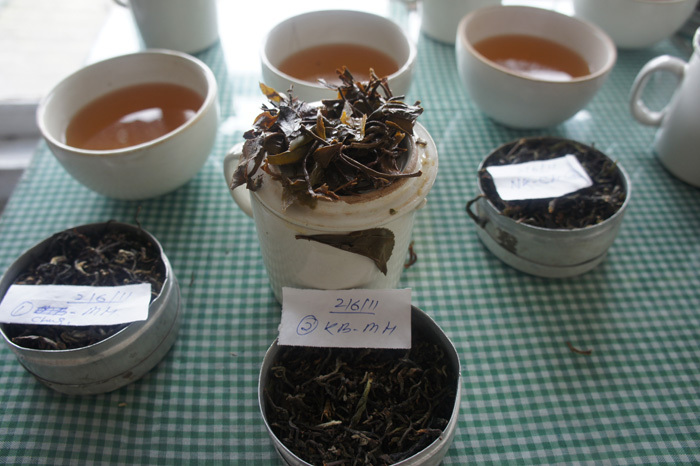 Export quality, hand-sorted, full-leaf versions like Orange Pekoe clearly target the affluent lot. “CTC” an acronym for Curl, Tear and Crush method is the more modern type of manufacture adopted in the plains and lowlands like Assam. More recently, ‘Organic tea’ or tea grown using natural manure and eco-sustainable farming practices without chemical fertilizers and pesticides and healthy ‘Green tea’ with its rich anti-oxidants, medicinal benefits and slimming properties is fast gaining popularity. White Teas are the purest and least processed of all teas. This loose-leaf tea brews a light color and flavor. 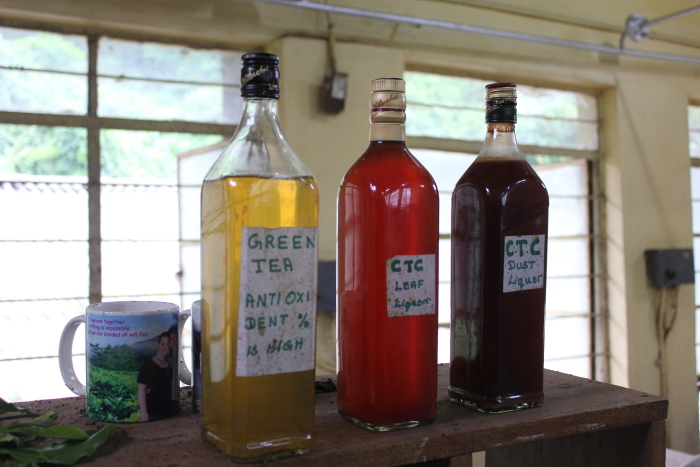 Green Teas are a popular beverage across Asia. Sometimes scented versions of loose green teas are prepared using flowers like chamomile, jasmine or fruits. Oolong Tea is full-bodied with a flavorful sweet aroma and is often served in Chinese restaurants. Black Tea is an old favourite used in tea bags and iced teas. Herbal Teas often called tisane, often do not contain actual tea leaves and come in 3 types: Rooibos teas or red tea made from a South African red bush, Mate teas which possess an unusual coffee taste made from leaves and twigs of the Yerba mate plant and Herbal Infusions made of pure herbs, flowers or fruits which are served hot or chilled. Blooming Teas (also known as artisan or flowering teas) are the designer brews which are hand tied by tea artists. They can be flavoured or scented and actually blossom as they steep, to create beautiful designs. Hence, they make lovely gifts and souvenirs. Tea Blends are most popular as they offer a delicate mix of the best of premium teas to give the best combination of colour, flavor and aroma. 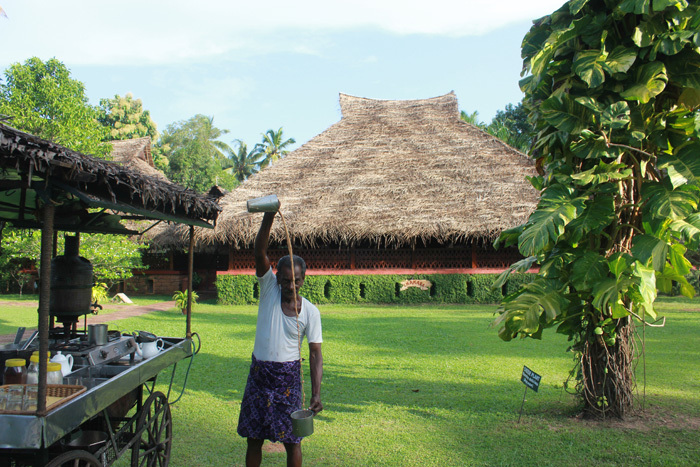 Tea tourism has burgeoned rapidly across the country and tourists are encouraged to experience plantation life in colonial style tea gardens, heritage bungalows and liveried staff on call. The best way to know your oolong from your pekoe is to witness the journey of tea from leaf to cup through the elaborate manufacturing process from tea plucking to tea-tasting sessions besides nature walks and adventure activities. Tea-picking season lasts from April-October, making it a good time to visit tea estates and factories. Plan your trip to catch the picking and production season – First flush (March-May), Second flush (June- July), Monsoon/Rain flush (Aug-Sept), Autumnal Flush (Oct-Nov). Winter is generally a dormant time for tea. 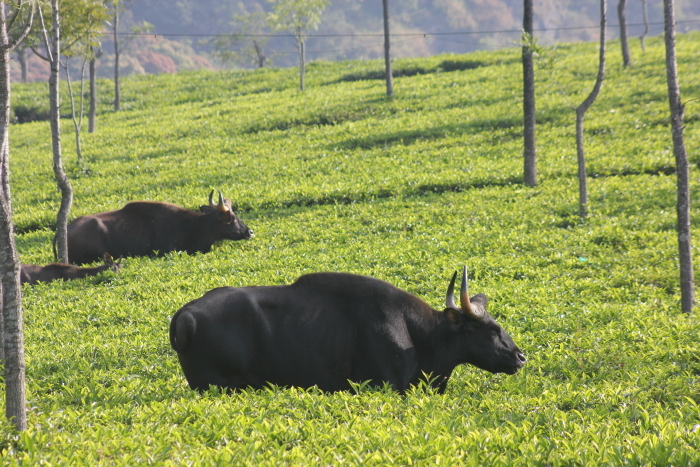 The topography, temperature and terrain make it ideal for tea cultivation in several areas of our country. Tea grows in warm, humid climate with well distributed rainfall and long days of sunshine. From the dark fragrant Nilgiri Tea to Munnar’s full-bodied Kanan Devan tea, the bright and bold maltiness of Assam or the finest Darjeeling the color of Himalayan sunlight, India’s tea growing regions are diverse. Head to Kurseong, home to the world’s first tea factory set up in 1859 where you can savour Silver Tips Imperial (the most expensive tea) while staying at homestays run by villagers at Makaibari Estate. Become a tea taster at Jorhat’s Gatoonga Tea Factory while staying at Heritage North East’s Burra Sahib and Mistry Sahib bungalows. Wild Mahseer, an 1875 British angling bungalow and former residence of the tea-estate manager have been transformed into a classy resort. Stay at the Darang Tea Estate to get a real taste of Kangra tea. Carpeting the Palampur hills by the British since 1882, the aromatic brew has a weak colour, but the Dhauladhar range’s microclimate lends a certain aroma after it is sun dried. 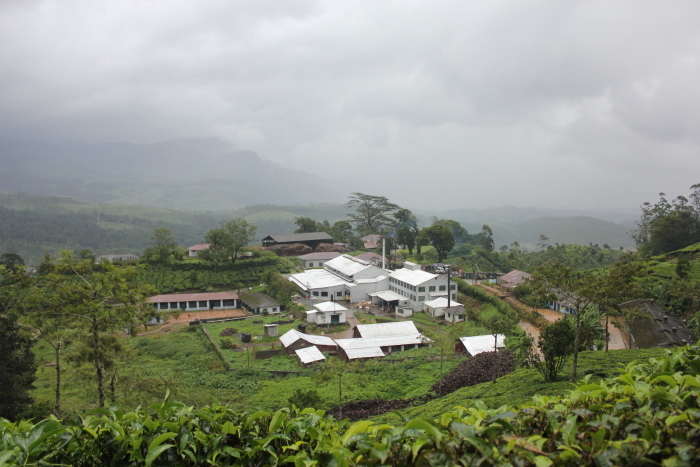 In South India, stay at The Tea Sanctuary in Munnar and drop by at the Tea Museum. Or relax in the colonial comforts of Briar Tea Bungalows at Meghamalai. Experience tea-themed cuisine and bison in the bush at Tea Nest Coonoor. As a spoonful of tea leaves steep silently in a pot of fine bone china, the cinematic sight of waves of rolling green tea gardens and tea pickers busily tucking fresh leaves into their baskets returns as a lasting reminder of how it all began. Authors: Anurag Mallick & Priya Ganapathy. This article appeared on 22 June 2014 in Sunday Herald, the weekend supplement of Deccan Herald.